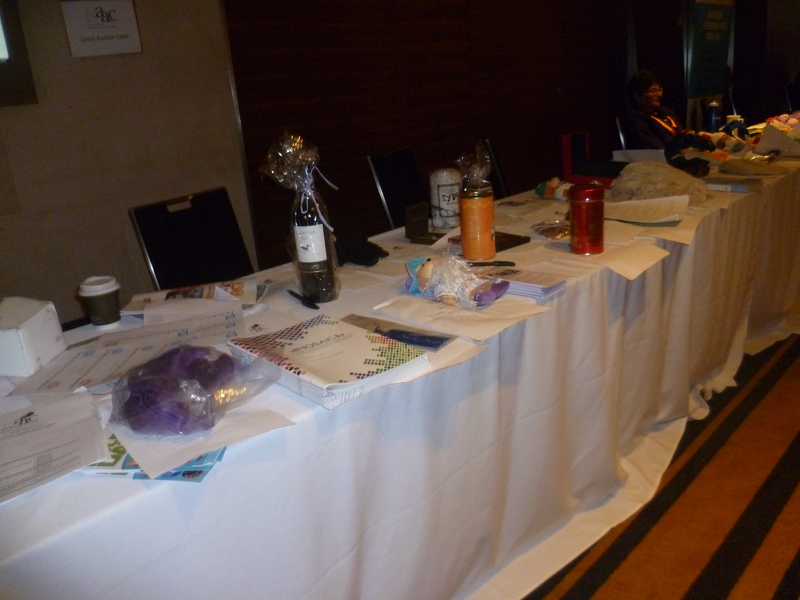 The ISAAC Australia silent auction is back by popular demand! The auction will take place at the AGOSCI conference in Melbourne this May. It will be an exciting auction this year, with possible live performance events. Please contact Andrea at isaacaustralia@gmail.com if you have items you would like to donate, to support our scholarship fund. And don’t forget to come to the AGOSCI conference with your shopping shoes on! ISAAC Australia had the pleasure of attending the AGOSCI conference (http://www.agosci.org.au/index.htm) in Sydney in May. ISAAC Aust has a long standing relationship with AGOSCI and host a silent auction each year. The funds raised at the silent auction go towards supporting people who use AAC to attend the ISAAC international conference. The next conference is in Lisbon, Portugal in 2014. The items at the silent auction were quirky, different, personal and interesting. There was something for everyone! Many people were locked in fierce battles for that item they had to have. Thank you to everyone who donated the many and varied items. The auction raised an outstanding total of $892! A great success. Many thanks to AGOSCI for their support, Bronwyn Hemsley and Meredith Allan for their tireless work. And to everyone who purchased something!